For many historians, liberalization and modernization are parallel and complementary concepts. Any trend to liberalization is accepted by them as a pledge to modernization whereas any restrictive measure is seen as an expression of traditionalism. Scholars in Turkey and the West who have studied the history of Turkish modernization with such a preconceived approach have praised the Tanzimat (1839-76), the Young Ottoman (1876-78) and the Young Turk (1908-18) periods as modernist, while they have condemned Abdulhamid II's reign as traditionalist, even backwardist. It is true that impressive achievements in modernization were accomplished during the former more or less liberal periods, but scholarly research undertaken in recent years also demonstrates that the latter reign was no less important in this respect. Abdulhamid's 30-year reign from 1878 to 1908 was in fact a period of despotic government during which reforms of far-reaching consequences were undertaken and achieved. As Bernard Lewis asserts, 'a key figure in the Sultan's reforms was Mehmed Said Paşa. .., sometimes known as Küçük (little) Said '. He was born in Erzurum, around 1840, into a family originally from Ankara. He had a medrese education in his native town and in Istanbul, completing it with private study of western sciences and French. While still in his teens he entered government service, where he advanced quickly as a result of his intelligence and ability. Appointed chief of the palace secretariat in 1876, he won the trust of the newly enthroned Sultan Abdulhamid, who nominated him Minister of the Interior two years later. Said Paşa became Minister of Justice late in 1878, and was transferred the following year to the Grand Vezirate. He held the office nine times in all, seven times under Abdulhamid and twice under the Young Turks. He died in 1914 in Istanbul, while President of the Senate. His record as a statesman is well enough known not to need recounting here. However, his achievement as a Turkish modernist deserves more attention. In official modern Turkish historiography, Selim III, Mahmud II, Mustafa Reşid Paşa and Midhat Paşa are considered to be the great reformers, whose contributions prepared the way for Atatürk's Revolution. Most modern Turkish historians, partly under the influence of traditional Western scholarship, perpetuate the myth of the 'Red Sultan' Abdulhamid, describing his reign as a Dark Age, despotic and obscurantist. 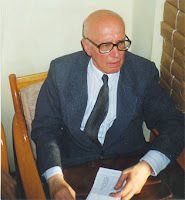 Professor Enver Ziya Karal in his Osmanli tarihi concedes that Said Paşa was extremely industrious, learned and honest (p. 290), but rejects firmly the idea that he was a great man, advancing the view that 'Grand vezirs like Said Paşa are not called great in history. For despotic ideas and despotic regimes have no greatness' (p. 293). This judgment could easily be refuted: Metternich and Bismarck's greatness was not overshadowed by their authoritarianism. Even the nature of Said Paşa's despotism is a matter which must be considered within its own context. A contemporary British diplomat, Harry H. Lamb, wrote in 1906 that 'He [Said Paşa] is a sincere patriot, a man of superior intelligence, considerable learning, and an independence of character which would be sought for in vain amongst the Turkish officials of the present day'. Mr Lamb was of the opinion that 'Said Paşa still is regarded by many as the only man living who might yet be capable of regenerating the Administration of the country, to the defects of which as consequent dangers he is more than others alive'. He strove indeed throughout his long career to reform the Ottoman institutions with the aim of changing the old empire into a modern state. It is possible to grasp Said Paşa's basic ideas through a study of memoranda he submitted to the Sultan during the years of Abdulhamid's reign. In his first memorandum, dated Rebi I I226/February-March I879, written while he was Minister of Justice, on the morrow of the Congress of Berlin, Said proposed financial reforms to improve the organization of the Army, administrative reform in the central and provincial governments to curb the trends toward autonomy, and educational reforms to strengthen the allegiance of the Muslim subjects to the Sultan. The memorandum clearly had a conservative character, in complete contrast to the liberal policy pursued by the Young Ottomans after the proclamation of the Constitution in 1876. It proposed centralization instead of decentralization and Islamism instead of Ottomanism. It accorded with the tastes of Abdulhamid, who already had established his autocratic regime the year before when he closed the Parliament, so he gave full approval and appointed its author Grand Vezir, more precisely, Prime Minister (Baş-vekil), in October I879. Said Paşa remained almost six years in power, with only short interruptions due to temporary dismissals from office. Even more significant was the memorandum dated 25 Ramazan I297/ 31 August 1880, also prepared by Said Paşa at the Sultan's request. After an introduction on the causes of decay in the Ottoman Empire, measures of regeneration were advanced systematically. Said Paşa considered educational reform to be of prime importance: 'As long as public education is not disseminated, there will be no leaders capable of directing the internal and external affairs of the Empire soundly, no judges who can administer the public laws justly, no commanders who can run the Army efficiently, and no finance officers who can show how to manage and increase the sources of revenue in accordance with economic principles. ' The education of Muslims had to be improved effectively in order to keep under control the Christian subjects who had been enlightened in the preceding decades in their own community schools. No less important was uprightness. Said Paşa urged the importance of fighting corruption and protecting honest officials. Closely linked with this was judicial reform. The law courts had to be immune from any outside interference, the judges well trained in their profession and selected from upright persons. Said Paşa dealt also with reform in the administration. He believed that non Muslim diplomats declaring their allegiance to the state could be employed with full rights and capacity in the Foreign Service of the Empire. Nevertheless he thought it advisable to increase the number of Muslim officials experienced in diplomacy. In addition, up-to-date training at the Military Academy was necessary for the formation of a qualified officer corps to be entrusted with military command. Likewise, teaching at the Mülkiye School had to be modernized to train able administrators for the civil service. Police organization also required adequate reform, as the maintenance of security in the country was of urgent necessity. Finally, Said Paşa discussed in some detail reform in finances and economics. For him 'the problem of finances is the fundamental and vital problem of the Empire. All evil will be suppressed if the State reorganizes its financial administration, and if not every harm is to be expected.' He did not reject the practice of contracting foreign loans, provided that the terms were equitable and the money spent in productive investment. In respect to financial reform, he especially stressed keeping to a balanced budget, establishing a just and efficient tax system, and introducing a modern system of accountancy for the government's financial dealings. Later on he drew attention to the deficit then existing in Ottoman foreign trade. As a remedy, he proposed the protection of national industry and the development of trade and agriculture. He further remarked that nothing could be achieved in the economic sector without the improvement of public works and extension of communications. The memorandum of August 1880 presented a general reform program for the decaying Empire. The proposed measures were therefore rather of academic character and not explicit enough in providing means for their application. A reform project read by Said Paşa at a Cabinet meeting in I88I or 1882 outlined more concrete proposals for reorganization of the institutions of government.' New provincial administration would be established by uniting every two existing provinces into single larger vilayets. The proposed system would divide each vilayet into two livas, four kazas and sixteen nahiyes. The change was justified as a rational measure to bring the civil and military organizations of the Empire into line. It seems that his real intention in revising the Provincial Law of 1864 actually was to tighten central control over the provinces. This reform project also prescribed the reorganization of provincial justice, finances, education and public works on a large scale. Each vilayet center was to be the seat of a court of appeal (istinaf mahkemesi),and an office of prosecution (mudde-i umumilik) as well as a police superintendency (baş-komiserlik) were to be established. A directorate of public works and agriculture, equipped with a bureau of statistics, would function in each province. The opening of universities (dar ül-ulum) and polytechnic schools (dar ül-funun) in the vilayet centers also was envisaged. Said Paşa's reform project seems to have run into some unexpected difficulties; indeed, it was dropped before being discussed in a full Cabinet meeting. In fact, the project could hardly have been applied in full as it contained many ambitious schemes far beyond the potential of the State at the time.Yet several reforms proposed in the project were put into application by Said Paşa himself in subsequent years. Said Paşa's activity brought its best results in the field of education. The Maarif-i Umumiye Nizamnamesi of 1869, prepared by Safvet Paşa, then Minister of Education, had provided an excellent set of regulations for the creation of a modern system of education, but little had been achieved since their promulgation. Said Paşa now undertook a large-scale reform by establishing directorates of education in the provinces to supervise the new schools, and then worked to rapidly expand the latter. From late 1879 to September 1885 (the end of his fourth grand vezirate) he increased the number of the rüşdiyes (modern elementary schools) from 253 to 389 and opened four idadiyes (lower secondary schools) in the provinces, in addition to the one existing in Yenişehir (Larissa) in Thessaly since 1875. An idadiye school was planned for the center of each vilayet and liva. Said Paşa claims, furthermore, to have started the construction of 24 idadiyes scattered throughout the Empire. The expenses necessitated by such a vast undertaking were met by a special education tax imposed in 1883. Later on, during his sixth grand vezirate from November 1900 to January 1903, he initiated a change in educational policy by urging the Minister of Education of the time to take appropriate measures to direct rüşdiye graduates to the technical schools instead of the idadiyes. His reason for this was the belief that training professional personnel would contribute more to public welfare than educating intellectuals for government service. His directive seems to have produced results, as vocational sections were added to many provincial idadiyes in the following years. Said Paşa's achievement in higher education was even more considerable. The Schools of Finance, Law, Fine Arts, Languages, Commerce and Engineering were opened in Istanbul between 1879 and 1884, due largely to the initiative of the Grand Vezir himself. The teaching staffs and the curricula of these schools provided western style training for students destined for higher posts in the State. The Mülkiye School, established in 1859 and reorganized in 1877, became mainly a boarding school in I883 in order to receive students from the provinces. The schools of Finance and Languages closed a few years later, but the others continued to train increasing numbers of efficient modernizers. The founding of a university in Istanbul became a reality through the efforts of Said Paşa. Attempts to open a Turkish university had been made in 1845, in 1870 and again in 1879, but each time the enterprise had failed after a short period of operation. Conditions for the establishment of a university were far more favorable by the end of the century as a network of secondary schools already had been set up throughout the country, training a sufficient number of students to enroll in the university. In a memorandum submitted to the Sultan dated 18 şaban 1312/ 14 February 1895, Said Paşa warmly supported the project of founding a university in Istanbul, taking special care to ascertain that the establishment of such an institution would greatly help the development of the State without endangering the security of the throne. Said Paşa's memorandum must be credited with having had a substantial effect in dissipating Abdulhamid's apprehensions, as preparations for the opening of a university soon began, resulting in the inauguration in August 1900 of the Imperial University (Darul- funun-i Şahane), now the University of Istanbul. The project of opening a university in each Ottoman province, already proposed by Said Paşa in the early 1880s, thus realized a limited but important application. Said Paşa's reforming activity was by no means restricted to the field of education. While serving as Minister of Justice in 1879, he successfully achieved many judicial reforms by promulgating laws establishing procedural rules for criminal and civil matters. The office of Public Prosecutor also was created as a useful organ for improving the functioning of the Ottoman nizamiye courts. These changes resulted in the development of a modern judicial system which eliminated many defects in the administration of justice. Said Paşa undertook new administrative reforms after his appointment to the grand vezirate at the end of 1879. Recruitment for the civil service, advancement in bureaucratic careers and the retirement regulations for civil servants required prompt improvement. A law passed in 1883 brought definite criteria for qualification for government office, competitive examinations being accepted as a means of selection. The same year, a pension fund for retired civil servants was established. To improve security in the cities, Said Paşa adopted the French system of police and set up the first police superintendencies in Istanbul in 1882. In the field of economics, Said Paşa believed that an adequate organization had to be created within the central government to efficiently develop the natural resources of the country. For this purpose the directorates of Industry, Commerce and Statistics were formed and put under the supervision of the Ministry of Commerce in I879. It is worth noting that Said Paşa was well aware of the importance of statistical data for the management of a modern state in general and of economic life in particular. Another of Said Paşa's contributions in the field of economics was the introduction of the decimal system of measurement into the Ottoman Empire by a regulation dated 29 Şevval 1298/ 24 September 1881. This reform had first been proposed in 1869 by Ibrahim Edhem Paşa, then President of the Council of Public Works, but although it was now put into effect the decimal system remained restricted to official use, and its full application in Turkey occurred only in 1933. Finally, the Chamber of Commerce was established in Istanbul in 1882 as a modern institution to help Ottoman tradesmen adjust to western business practices. Said Paşa also launched a campaign of road construction to improve communications in the Ottoman Empire. His claim to have built more than 50,000 kilometers of roads might be exaggerated, but it is certain that the existing network of roads was greatly improved by the middle of the 1880s. In the province of Sivas alone, 927 kilometers were built during the governorship of Halil Rifat Paşa from 1882 to 1885. Said Paşa conceived and applied most of his reforms in his early grand vezirates, while he enjoyed Abdulhamid's full confidence. But in time disagreement arose with the Sultan, due largely to the latter's increasing interference in the affairs of government. As a result, Said Paşa's later grand vezirates were of much shorter duration, and he had little further opportunity to initiate additional reforms. A definitive evaluation of Said Paşa's contribution to the modernization of Turkey is somewhat premature, as Abdulhamid's entire reign has not yet been sufficiently studied. Nevertheless, it is worth attempting with the materials already available. In education, only two idadiye schools existed in 1879, but they reached 34 in 1890, with their enrollment coming to 7752 in 1896. This outstanding achievement was due in large part to the efforts of Said Paşa. The educational reforms started by him continued to receive the care of his successors, so that 580 students graduated from the idadiyes in 1905, forcing the authorities to take special measure to provide opportunities for their enrollment in higher education. The reforms he accomplished in the field of justice proved less successful in the long run. Indeed, Abdulhamid's increasing autocracy prevented further extension and rationalization of the Ottoman judicial system. Said Paşa's legal reforms also met the opposition of the foreign powers who looked with suspicion on any change likely to limit their judicial privileges recognized by the Capitulations. Said Paşa's efforts to keep the police administration from being involved in spying activity on behalf of the Sultan were in vain. But his other administrative reforms gave better results. Government officials were paid regularly during his grand vezirates, and the pension fund he established for them turned out to be a most useful institution, with the number of its members amounting to 16,625 in 1902. The construction of an extensive network of roads in Rumelia and Anatolia was no doubt Said Paşa's most lasting achievement in the field of economics. But while this was essentially intended to foster the development of trade and agriculture in the country, this did not happen, as European economic control prevented the success of all efforts to stimulate the Turkish commerce and industry. Said Paşa himself experienced this sort of frustration when he tried to impose a 'licencing tax' on the foreign merchants who traded in Turkey without paying the usual fees, thus putting them on equal footing with the Ottoman merchants; there was no result, due to the strong intervention of the foreign powers. It already has been stated that Said Paşa was accused of being a staunch enemy of constitutionalism. Indeed, he did serve the cause of Abdulhamid during not only the preparation and application of the Constitution, but also its abrogation. He opposed the liberal policies of Midhat Paşa, believing that their implementation would hasten the dismemberment of the Empire. In this belief he was not alone, for many distinguished Ottoman statesmen like Ahmed Vefik Paşa, Ibrahim Edhem Paşa and Ahmed Cevdet Paşa also were hostile to constitutionalism for the same reason. Their assumption must not be rejected uncritically, as the political events which took place during the second Turkish Constitutional Regime largely confirmed their fears. In his Memoirs, written after the Young Turk Revolution of I908, Said Paşa defended the policy he had followed under Abdulhamid. He tried to show that he always had a favorable opinion of constitutionalism, while expressing his doubts about the usefulness of any such regime which was not established through the striving of the people, but was simply granted by the sovereign. He further remarked that the satisfactory operation of a constitutional regime necessitated the existence of a large group of well-educated deputies having enough knowledge of international law and political history. Said Paşa might have thought that all these conditions were fulfilled when, during his seventh grand vezirate in 1908, he advised Abdulhamid to accept the demand of the Young Turk officers for the restoration of the Constitution. His advice was followed. Said Paşa seems to have been one of the first Turkish statesmen who realized that the policy of Ottomanism, aiming at creating an Ottoman nation through a fusion of different ethnic communities, was doomed to failure. He was in favor of a policy based on strengthening the loyalty of the Muslim subjects in the Empire to the Sultan and Caliph. He thus formulated an Islamist ideology which could successfully be applied as a political doctrine. Abdulhamid approved it, but later opted for a broader and more ambitious program, Pan-Islam. In fact, Said Paşa did not intend to achieve political unification with Muslims living beyond Ottoman boundaries. In his memorandum of August he was concerned with 'the Muslims of Asia', by which he was clearly referring to the Muslims of Anatolia. Indeed, he pointed to the necessity of preventing the exhaustion of the 'peoples of Anatolia', as they had long been the main source of supply for the Ottoman Imperial Armies. His interest in the Anatolian Muslims is shown also by the fact that most of the rüşdiye and idadiye schools opened under his grand vezirates were situated there. He also urged emphasis on investment in Anatolia as a measure for strengthening the Ottoman Empire. Said Paşa's Islamism, at the same time, had a Turkish content. In 1878 he opposed a project of Abdulhamid for accepting Arabic as the official language of the Ottoman State with the argument that 'this would be the end of Turkishness'. It is thus possible to see Said Paşa as a precursor of the ideological trend of Anatolianism, which arose in Turkey after the foundation of the Republic as a reaction to Pan-Turkism. Said Paşa's modernist activity in fact developed along the paths of the Tanzimat movement. Many of the reforms which he accomplished had already been planned or conceived in earlier times. His greatest merit lay precisely in achieving a more systematic and thorough application than was possible in the Tanzimat period itself. Yet his disbelief in Ottomanism, the ideology supported by both the Tanzimat men and the Young Ottomans, could not but bring about significant changes in reform policy developed before 1876. Said Paşa aimed, indeed, at transforming the multi-national Ottoman Empire into a modern Turkish State which would mainly rely upon the allegiance of the Muslims in Anatolia and in the neighbouring provinces. Through his efforts, an elite class of professional intellectuals was created in the last years of Abdulhamid's reign. The Young Turk Revolution and, subsequently, the Turkish Republic were the achievements of this elite, inspired by an ardent patriotism. It is tragic, however, that these intellectuals, attracted by the liberal ideas of the Young Ottomans and the Young Turks, have overlooked the contribution to the modernization of Turkey of the conservative but patriotic statesman, Küçük Said Paşa.